You’re likely to feel under fire and pressured from all angles and areas of your life this week. You’ll feel that others have unfair and unrealistic expectations of you and that the stress of this weight is starting to get to you. Don’t openly challenge anyone in a position of authority in your life, but look at ways to find some peace and escape for yourself. Your life is all about progress and the way forward is yours to find. Any plans you’ve made for this week will look shaky and much of what you’d hoped to do will have to be put off till another time. This is going to be frustrating for you, but unfortunately there’s little you can do right now to move forward with any of these plans. Instead, do your best to accept that this is how it is, and look for other jobs that need your attention right now. This will keep you busy and keep you productive. As your destiny takes over and steers your life in the direction it’s always been meant to go this week, you’ll have a boost of power that you can use to put things right in your life and set things straight. Don’t waste this energy or your time on things that are insignificant. Choose your battles and choose what deserves your attention and what doesn’t. Make things happen for you in the areas you most want them to. 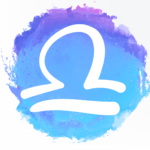 Uranus in Aries ends its time in trine with The Sun this week, giving a much lighter atmosphere to your house. As The Sun’s energy leaves a feeling of frivolity should come over you and it’s the perfect time to do something out of character and maybe even be a little silly. You need laughter more than anything right now, so create some fun in whatever way you can, let go, don’t worry about what anyone else thinks, and be wild. 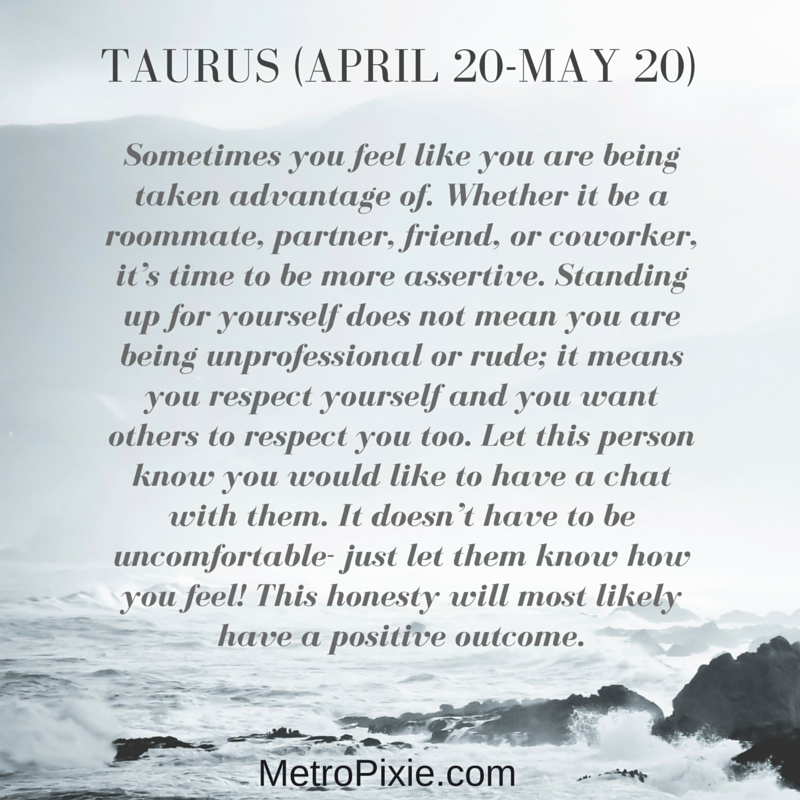 It looks like being an emotional time for you this week, Taurus, but at least it shouldn’t be unexpected. A situation or a person has been building your emotions for some time and now anything you’ve been keeping in will spill out. The person, or people, involved in this will be open and receptive to your feelings, so you can have an honest conversation and start to find a solution. View this as a positive thing and a good way forward. This week calls for you to be bold and to reach higher than you’d thought you could. Feel the fear and go for it. This mostly regards your hopes and dreams and future ambitions, where you’re encouraged to set your sights high. This could mean learning something new or taking yourself in a completely new direction. Don’t let this scare you, you have what it takes to make this a success, all you need to do is believe in yourself. Venus is on the move in your house this week and this will give you strong energy for dealing with your relationships and connections. Exactly what this means for you depends on your situation, but whatever your circumstances are, don’t waste this energy while you have it, use it and use it well. Spend today focussing on and working hard on your relationships in your life. Inspect how they are performing and take any steps you need to in order to make progress. The Moon leaves Leo this week, The Sun ends its time in trine with Uranus, and Mars begins its time in trine with Saturn. This complex situation in your house will create a lot of energy which could at times feel chaotic. Try to pin down your direction and use the angles of experience and learning to focus your attentions on your future. This is a great time to step forward, as you can harness this strong energy and use it to your advantage. This week it’s the right time for you to deal with practical issues and get down some of the things you’ve been putting off. You may have put things to one side because they are dull, but you’ll feel better when you’ve sorted these things out and ticked them off your list. Don’t let yourself get frustrated because of the monotony of these tasks, be grateful you have the chance to sort them out and put them behind you completed. 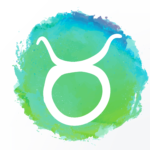 Stable and secure energy from Jupiter’s position in your house this week is giving you great insights in your financial life. This gift of clear vision should help you to see your money from all angles and you’ll be able to view how your finances truly are right now as well as how they could be in the future if you take the right action. Pay attention to what happens as you progress and learn good money sense. You’ll do much better this week if you stay out of the way of others and work by yourself. Interactions with others will be tense for you right now and you could easily slip into situations of conflict and confrontation. You’re likely to feel that others can’t see things as clearly as you can and that they lack some common sense. Don’t voice this opinion or trouble will come and you’ll end up looking like the one who brought it. 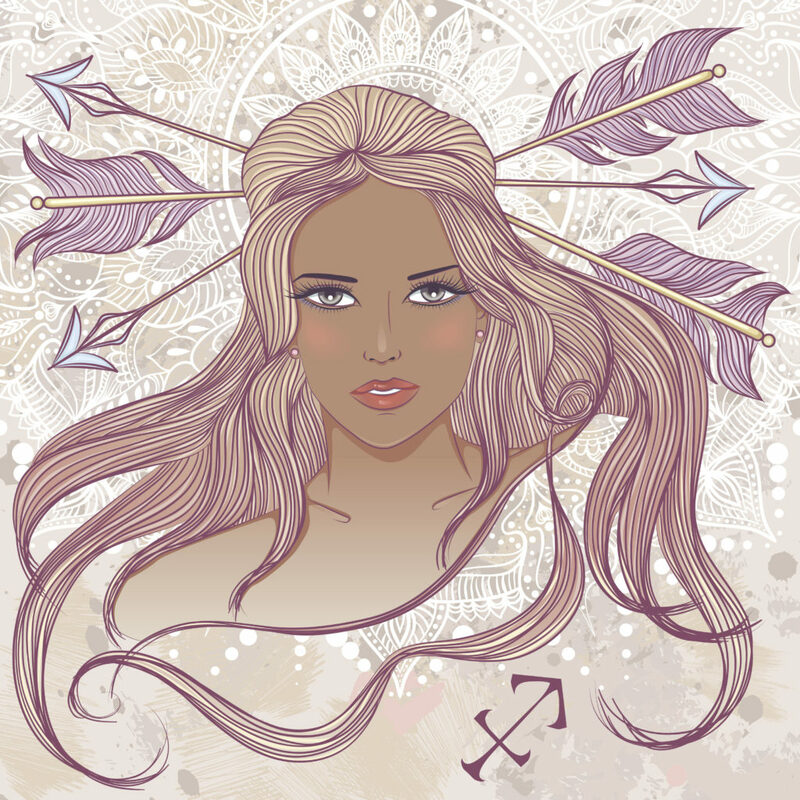 Saturn in Sagittarius is in trine with Mars this week, bringing a lot of energy into your relationship and love life. If you’re single you should be bold and make that move on someone you’ve had your eye on, or get out there and meet someone new. If you’re in a relationship, appreciate your partner and spend some quality time together. Failing all this, if you’re by yourself and you like it that way, go for some self-love! 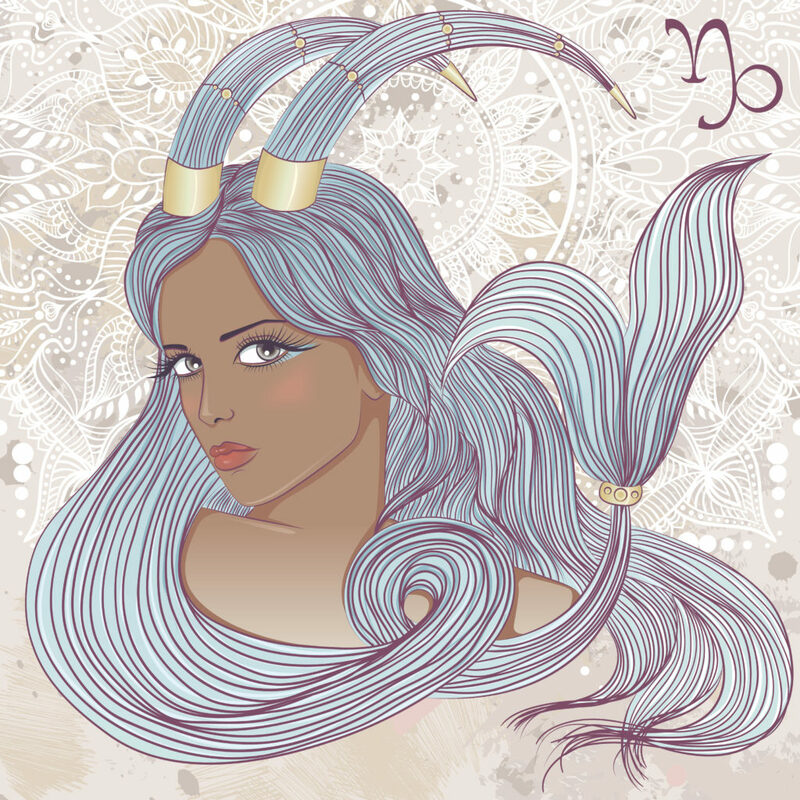 Pluto in Capricorn is in opposition with Venus this week, making you feel fiercely independent and fiercely protective of that independence. This can often be a good thing, but be careful you don’t take it too far and rebuke others. You do need to work with others sometimes and if you block everyone out in order to keep your independence, you could be doing yourself more harm than good. Find a balance that works for you while keeping you open to others. You’ll find you’re very focussed this week, especially on your work path and your finances. You’ll be quite single-minded in this right now and you’ll only give your time and attention to anything if it furthers your career or has the potential to make you more money. You can go with this and follow it, and do what feels right. You have a talent in this area and you should make the most of it, but don’t forget there are others important things in life. 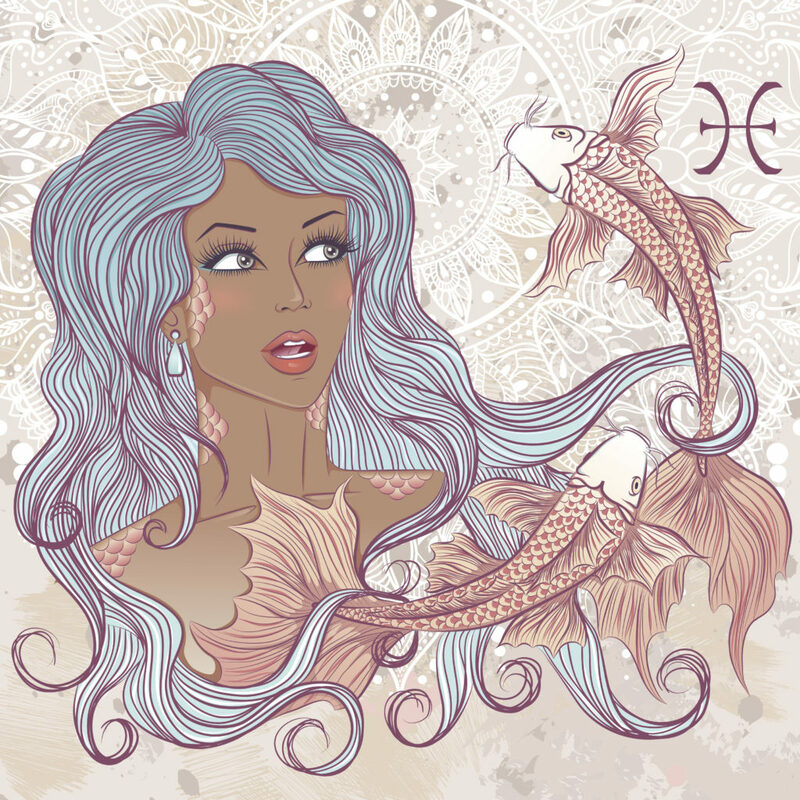 Neptune in Pisces is in sextile with The Moon this week, bringing you inner strength to face whatever comes your way right now. That doesn’t mean you have a tough time ahead or that there’s going to be problems, but it does mean you have strong energy to make anything a success and to deal with anything you encounter. Use your creativity to shine right now and push yourself ahead with confidence and motivation. There may be some bumps, but you’ve got this! Following on from last week you still have very strong instincts for money, but this week it’s focussed more on increasing your income than on budgeting and saving. Use your positive energy and your determination in this area and push yourself forward towards greater things and more financial comfort. Look for ways you can up your bank balance, but also continue to feel your worth and make sure you are paid accordingly for your work and your skills. 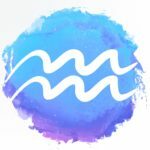 The Moon in Taurus is in sextile with Neptune this week, pushing energy into your relationship and personal life. You should feel more empathetic than usual, and your empathy levels are always pretty high anyway. It’s a good time to look at the dependency in your relationship and make sure everything is balanced. You should have mutual trust and mutual dependency for a healthy relationship, so if you feel this isn’t even you should think about and suggest changes. Even small niggles are going to bother you this week and you’re likely to get stressed at the most insignificant things. Do your best to put things into perspective and stay calm, but to make the week run smoother and avoid too much of a meltdown, you’re going to have to trust others with some of your work and tasks. Realise that you can’t do everything. Have confidence in someone else and you’ll find they can do a great job. Venus in Cancer is in opposition with Pluto this week, making you feel nostalgic and reflective about the past. Be careful with this as it could leave you feeling a bit down about the way things have gone before and you may start over-thinking things. If you can, contact the person this involved and talk things over with them, but if you can’t maybe it’s time to let this go and bury it, it isn’t doing you any good. 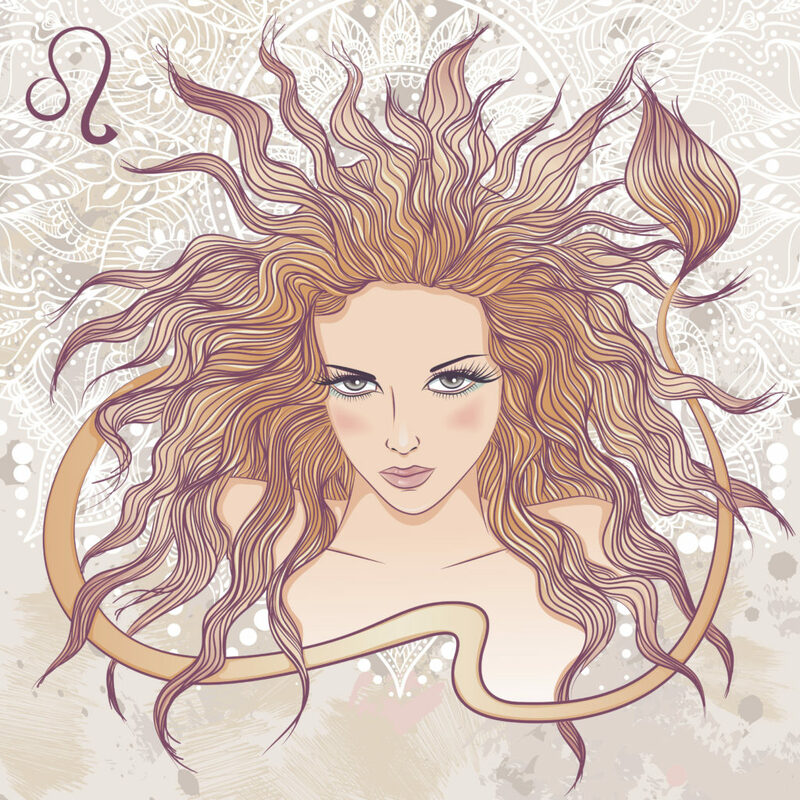 The Sun in Leo ends its time in trine with Saturn this week, bringing pressure to bear in certain areas of your life. This will mostly relate to work where you could find yourself being put upon. Stand up for yourself and don’t be taken advantage of. Just because someone else wants time off doesn’t mean you have to step in and take on their work. You have enough to do and you need to put your own work first. If someone around you needs their space this week, give it to them no matter how much you don’t want to. Recognise this person’s needs and show them that you respect them. This will demonstrate to this person how much you care and how much you are paying attention. If this person is dear to you, this is the perfect way to get closer to them, as they’ll appreciate your sensitivity and you can spend time with them later on. Your financial situation is going to seem a lot grimmer to you this week than it actually is. This doom is due to an over exaggeration in your emotions and your responses, rather than actual events and issues, but if you can get a hold of this and see things more clearly you should be able to gain perspective. This money problem will pass and if you’re smart you’ll learn something from it to carry forward into your future. A strong line of energy is crossing your house this week, bringing extra positivity to your spiritual side. You’ll feel more like letting go of material and insignificant things from your life, and you’ll want to grow your spirituality even more. You’ll have little interest in superficial things and instead you’ll want to connect more deeply with the inner you and what really matters. Follow this and go where your heart takes you, no matter what anyone else thinks. Saturn in Sagittarius ends its time in trine with The Sun this week, making you feel reflective and nostalgic. But rather than be looking back over your own past, you’re more likely to look further back and pursue an interest in where you come from. This is something you should follow as far as you can and use the information you find to better understand yourself and who you are today. It will also be a lot of fun! You’ll have a much clearer perspective this week, especially where your work and play balance is concerned. You’ll feel you have more direction now and you’ll be able to look at completing projects that have been hanging on. This will in turn allow you to set aside some time for yourself and for having fun, which you really need. Getting this balance right will give you more satisfaction in your life and make you more productive in everything you do. The Moon enters Aquarius this week in opposition with Mars, bringing you a new and strange path to take. Don’t worry, this is still a path towards your goals, it’s just a slightly different way to the one you were on before and the scenery may look unfamiliar. Look out for interesting things along the way, as you may want to revisit some of this at a later time. Embrace this new journey to your destination and all its surprises. It’s a good time to consider the bigger issues in life this week and you can use your energy to think about your wider life picture. It’s best not to offer too much this week or to make any big promises, you’re unlikely to be able to see them through, but do negotiate on anything that comes your way and perhaps plan to deal with them another time. It’s a time for reflection and philosophy rather than action. You’ll have strong energy in your creativity this week and you can use this and implement it in any area of your life. Explore new and more creative ways of doing things and write down any ideas you have as these are likely to be things you can use later if not now. If you feel a very fierce creative push, follow it and make something, write something, play something, just be creative in any way you want. You may feel as if things are moving too fast for you this week. This is due to Uranus’s energy spilling over from your neighbour, Aries. Examine if things really are as hectic as you feel they are, it could be your skewed perspective that makes you feel this way rather than any actual urgency. Take breaks as much as you can and try to find some head space to think about your future life and what lies ahead. This should make you feel calmer. Small changes are going to lead to bigger alterations this week, so when you feel dissatisfied with the big things, look at little tweaks you can easily perform to change things. It might seem as if these changes are too small to make a difference, but if you have patience and you keep at it, you will soon see a shift in your direction. Take your time and concentrate on the details, and the bigger picture will follow on from there without much effort. Don’t fall into the trap of over thinking things this week, when your work/life balance appears to be off. You do need to address any imbalances you have and you need to be alert to changing situations, but don’t create problems where there aren’t any. In fact, it’s more likely to be a problem with the balance between your home life and your wider family than a work versus life one, so look at this area in greater detail. Mars in Leo is in opposition with The Moon this week, giving you strong and very direct energy. It’s time to go for what you want and stop hesitating. This week is all about taking action and not beating round the bush and putting things off. If something needs saying, say it and if something needs to be done, do it. Allow your confidence to take over and push you forward, let go of fear, and take a leap. You need to stay flexible this week as you’ll have a large amount of varying tasks to keep on top of. Flexibility is the key, but you’ll also need to bring out your best multi-tasking skills to help you. Stay organised, stay calm, and start juggling with confidence. Take one task at a time and complete each thing properly before you sign it off and move onto the next thing. You’re good at this, so don’t sweat it. You’ll have high energy this week which will be especially strong in your relationship and personal life. You can use this energy to really shine and bring out the romance you feel deep inside of you. You’ll be attractive to others so if you’re single it’s a great time to get out there and meet your potential mate and have some fun. If you’re in a relationship, spend time with your partner and feel the love grow between you. You may be faced with a new and exciting challenge at work this week. The temptation is for you to jump into this quickly as your adrenalin will be pumping and you want to grasp this and dive in. However, slowly does it is the best way to make this successful. You don’t want to make any early mistakes and trip up before you’ve even started. Think this through carefully, plan your approach and move forward slow and precise. You’re likely to feel some stress this week as many different challenges, opportunities, and situations come your way all at once. This will be across the board and you may be dealing with various issues in all areas of your life right now. Stay calm and make the choices that are right for you and your future. You may be challenged on your morals and ethics and you need to stand up and stay true to yourself in this. 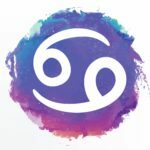 Pluto in Capricorn is in sextile with The Moon this week, putting you in a difficult position regarding other people around you. Others will want to do things you don’t want to do and this means you’ll have to make a stark choice. Either be the supporting friend and go along with it, or take your own path and stay out of it. Assess the situation first for any potential damage and consequences that may arise from your decision. You’ll have to convince someone this week that you are the right person for the job or task, whatever it may be. This is most likely in your work life, though could refer to other areas too. Your best course of action here is to be prepared to learn new things and brush up on your skills, and to make that obvious. By showing willing in this area, you’ll be taken more seriously and you’re more likely to be chosen. It’s a good time to look at your routine this week and to be ready to question how you do things. It could be that in some areas of your life there’s a complete lack of routine and you need to implement one to be more successful. Or it could be that your problems at the moment are due to your routine not working well for you. Look at making the necessary changes to how and when you do things, and move forward. You’ll have fresh energy in your house this week that should allow you to see everything around you as if for the first time. Everyday things will appear wondrous for you and you’ll fully appreciate nature and the achievements of man. This childlike vision of the world around you is a gift and seeing the world in brighter colours should be cherished, so make the most of it. Open your eyes to everything around you and drink it in. 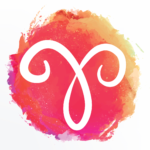 You need a dose of reality this week, Taurus, it’s time to accept people and events for who and what they are. You might have built someone or something up a little too high in your mind and estimation, and you need to realise that nobody and nothing is perfect. Take off your rose tinted glasses and get ready to face the truth of things. It’s better to know the real thing than to keep imagining it’s something else. 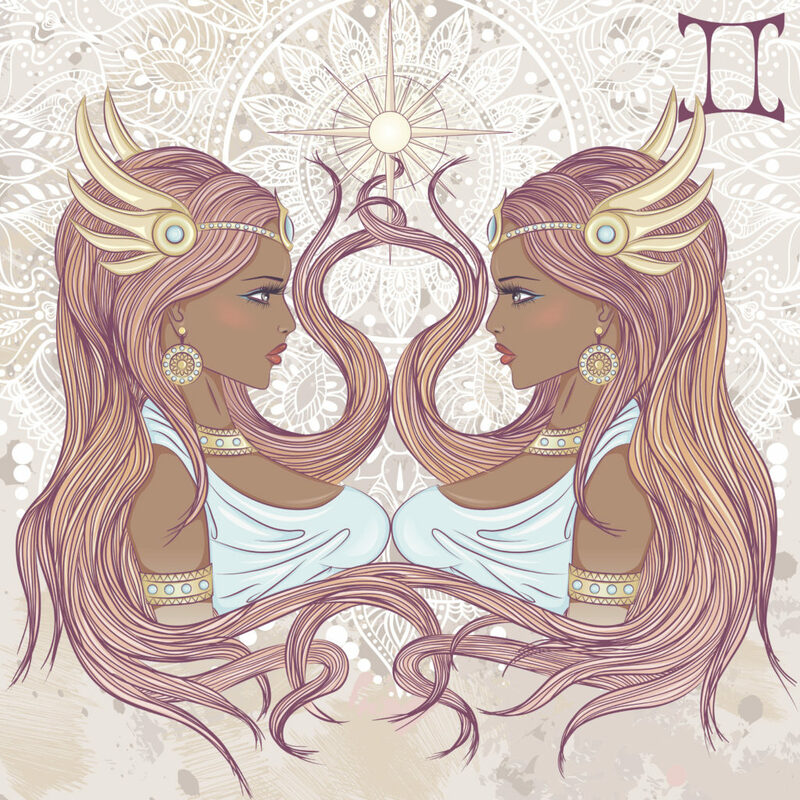 Venus leaves Gemini this week, giving you very direct energy and the ability to get straight to the centre of things. This will be important when dealing with any issues that come up, as you can get to the point quickly and directly, making it easier to move forward and start resolving things. Make sure you include anyone who’s involved in this in your dialogue, so you’re all on the same page and everyone knows what’s going on. You need to work on balance in your life this week, especially between your home life and your work life. It’s important that you deal with this right now, and you need to get organised because busier times in your work life are coming soon. By nipping niggles in the bud early and getting both areas of your life even, you’ll be saving yourself a lot of trouble later on. Manage your time for right now and for the future. A relationship in your life is about to begin a very important journey and you need to be prepared to make it run smoothly. This could refer to anyone in your life, friend, lover, co-worker, but whoever it is this path you and this person are setting out on is the most significant for you and them in a long time. Get ready to use your communication skills and keep honesty at the centre of everything you do and say. You’ll be pushed to pay more attention to how you communicate with others this week and you’ll realise that what you say and how you say it has a massive impact on how events then unfold. Use this knowledge wisely, especially in your work life, and you’ll find that you are great at networking and building new connections. This realisation will also make your communication better in all other areas of life, having a knock-on effect that can strengthen your relationships. Energy is strong in your work life this week and this will be especially relevant regarding looking to the future. You’ll need to demonstrate a lot of patience to those around you and especially to anyone who is influential in your career. If you can show that you’re in this for the long haul and you’re working towards a successful future diligently and sustainably using your patience, you’ll be rewarded and your path will look a whole lot more comfortable. It may be tough this week, but you need to balance work and your personal life carefully. Work is going to be busy, but someone in your personal life is feeling left out and neglected. You’ll need to find time to reach out to this person and let them know you haven’t forgotten them and that you want to be with them. If you don’t make an effort in this area right now you run the risk of losing this person, so step up. Balance is important for you this week, Sagittarius, but for once this doesn’t mean balancing your life areas. Instead, this refers to the balance between what you give and what you receive in your life. Make sure that whatever you’re doing and in whatever area of your life, you’re getting what you need from the situation. It’s good to be giving, but you need to think of yourself too, so make sure you aren’t being taken advantage of. You’re likely to feel frustrated this week, but no one else can give you all the answers you need. It’s fine to listen to advice and to take on board the help other people offer you, but do this with one foot still in your own heart. Weigh everything up and think carefully, others have great experience and knowledge. But when it comes down to the wire, you are the only person who can decide and you have the answers within you. You’ll have some sluggish energy this week and you’re likely to feel quite low in your spirits. Don’t let this get the better of you and depress you too much, nothing is as bad as it seems and even where there is some darkness you have the ability to turn situations around and find the positive. You might have to ride this feeling out this week and wait for it to pass, but be assured that it will pass and you’ll feel better. Changes happening this week or being suggested this week, don’t feel right to you and you have a bad feeling about it. You should trust your instincts on this and follow what your heart tells you. Don’t sign up for or agree on anything that you don’t feel comfortable with and let others know how you feel if they try to force your hand. Your intuition is telling you to beware and to be cautious, so listen well. 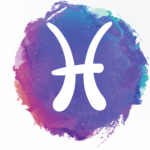 Uranus in Aries is in trine with Mercury this week, shifting your energy and leading you to place less importance on your work life right now. Curiously, this freedom you’ll give yourself will allow you to achieve more and you can do great things while the pressure is off. Use this in any area of your life and forge your path forward without any expectations on yourself. You might even find you can find some clear sky thinking about work while not thinking about work! You’ll feel like everyone around you is rushing into things this week and there seems to be no hesitation and little thought going into what they do. Rightly so, you’ll feel that this pushes you even more into thinking carefully before you go into anything, as you watch others being hasty and doing things they might regret. Relax and don’t let anyone else tell you the pace you should be going at. It’s not a race and it’s not a competition. Venus in Gemini is in opposition with Saturn this week, allowing you to ease into the month ahead slowly. Things will get busy soon, so enjoy a quieter time and take things at a gentle pace while you can. Listen to your own thoughts and let your mind wander. It’s a good time for sorting through how you feel about things and what’s going on in your head and your subconscious. Rest and prepare for activity further down the line. An unusual opportunity will come your way this week that could improve your financial situation. You’re likely to take a hold of this idea and feel instantly enthusiastic about it. Your enthusiasm will be contagious and those around you will want to help you, and perhaps to get a slice of the pie for themselves. For the moment there is no negative side to this and you should go for it, but do so with some caution as you don’t know what the future holds. The Moon leaves Leo this week in sextile with Jupiter, The Sun and Mars are in conjunction and Mercury is in trine with Uranus. This continuing complex situation in your house coupled with high energy means you can reach a little higher and really start to consider what your dream life looks like. Visualise it fully and yourself in it. From this strong position you can figure out the steps you need to take to make it happen. Energy from Mercury will spill over into your house this week, bringing relationships and friendships to the forefront. 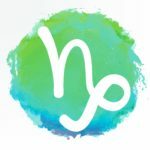 Your energy will support any changes you want to make in these relationships, and anyone looking for a totally fresh start in these areas will have the full backing of the planets. You’ll be given the opportunity to seize the chance this week and make this happen, whether it’s a small change or a big one, so go forward with confidence. Jupiter in Libra is in sextile with The Moon this week, giving you a lot of energy and strength. The downside to this is, you may get a bit carried away with your own perceptions and your communication could be off as a result of this You’ll need to be careful as your words could be misinterpreted today and your meaning misconstrued while you’re looking at things from your wonky view point. Take great pains to be clear about what you’re saying and what you mean. Disillusionment is going to hold you back this week and you’ll need to work hard to see through this and regain some positive thinking. Good things are coming your way, but negative thoughts and a depressed outlook is going to make it more difficult for you to take advantage of opportunities. Lift yourself up, and surround yourself with people who motivate you and inspire you. That way you might feel some of their energy rub off on you. Things are going well for you this week, but don’t take your eye off the ball for a moment or things could easily slip from your grasp. Communication is going to be very important in this and a few well thought out words or a call to the right person will keep things on track and keep your goals in sight. This will also strengthen your connections going forward and put you in a great position for what’s to come. If you’re considering learning something new or brushing up on your skills, you might want to take a different approach to how you would normally do this. You’re not always great at being the student, but you are great at being the teacher, and this can actually be a good way to learn. Look at what you do know and how you can impart your knowledge to others, and in the process you’ll learn so much more without realising it. You need to accept this week that you can’t do everything yourself, even if you do think you’re the only one who can do things properly. Understand that trying to take care of everything alone will only exhaust you and then you’ll be no use at all. Learn to say no sometimes prioritise, and don’t be afraid to get help with some tasks. Other people can do things just as well as you can, no matter what you think! You’ll come to fully realise this week that things you’ve done in the past will always catch up with you. This can be something you have to work your way through and it can be tricky, but it can also be a good thing for you, so don’t feel overwhelmed by it. It could be that this is the universe’s way of making you fully appreciate the things you’ve done in the past, to help you move forward with confidence. Uranus in Aries is square with Mars this week, making you feel vulnerable and in need of comfort and support. Unfortunately, you’re unlikely to find this, but this will be mostly down to your own insecurities that are pushing people away. Those around you are likely to feel unable to reach out to you. You’re going to end up being much more humble because of this, but remember, if you trust sometimes you’ll receive what you want, so follow the way you feel and act accordingly. 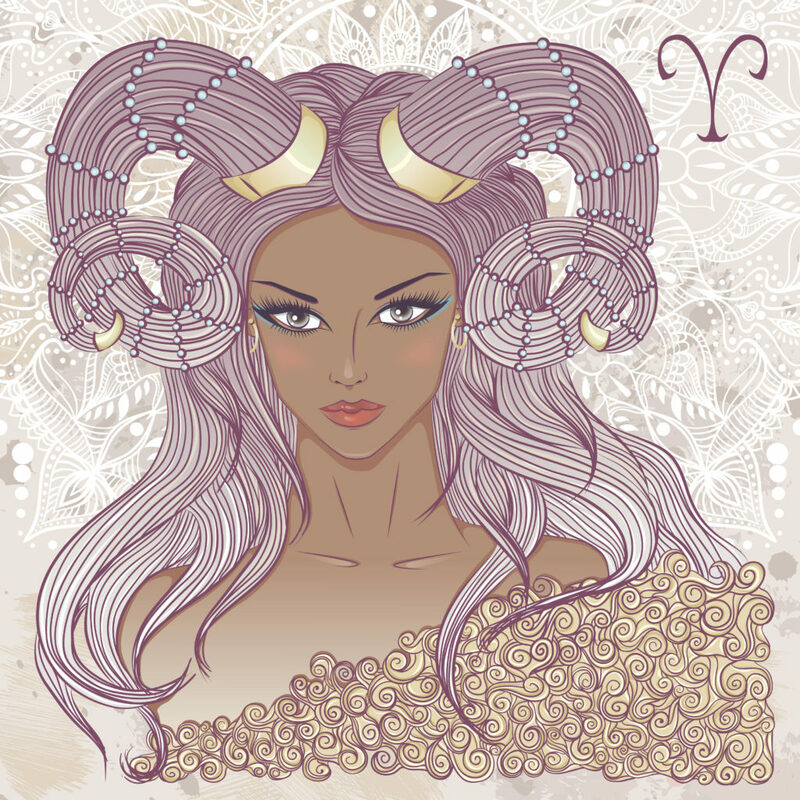 The Moon enters Taurus this week, bringing a major split between the face you show to the world and the way you really feel in private. You can try to bring these two more into line, but it will be difficult right now and you may have to focus on one more than the other. Which this is depends on your situation, and some may choose deceit while others bare all, but either way don’t let the conflict you have going on takeover. Venus in Gemini is square with Neptune this week, making you feel as if everything and everyone is against you in some way. You’re likely to feel as if things just aren’t fair and you’re getting the bad end of the deal when you shouldn’t be. A lot of this is down to your perspective and feelings of vulnerability, and if you can take time out and relax that’s the best way to get back to some balance in your life. Mars in Cancer is square with Uranus this week, bringing you low energy and the need to recharge yourself. You can spend as much time as possible relaxing, but more importantly, let your mind relax and indulge in some daydreaming. You can do this no matter what else you have to do this week, and it will centre your mind again and bring you some much needed balance and peace. Find time and space to do nothing and free your mind. You’ll find yourself having to mix money and friends this week, when you either lend someone some money or they loan some to you. Either way this is a tricky situation and you need to make sure the terms are clear and you’ve agreed on repayments. This might sound too formal for friends, but it needs to be done. Write this down and both sign it, that way there can be no misunderstandings and you won’t jeopardise your friendship. A lot of people around you will be feeling vulnerable and sensitive this week and you’ll need to tread carefully with what you say and how you say it. Be mindful of the way others feel and make sure you aren’t putting any pressure on anyone, as you’ll easily offend and upset right now. It’s also a bad time to burden others with your own problems or to share your opinions. Go about your week and interact when others are more settled. Things will appear much bigger and much worse than they really are this week, so don’t get yourself into a flap about something until you’ve considered it calmly. Try to step back and put things in perspective, this isn’t such a huge deal and if you look at the bigger picture you’ll see you can cope with this much easier than you think. Don’t waste your energy worrying about it, but concentrate on finding solutions to carry forward instead. Your self-doubt could take over this week and if you allow this to happen it will squash your dreams and your positive energy. The past is the past and any mistakes you’ve made can be learnt from, but don’t allow these things to get in the way of what you’re doing right now. Being too self-critical can hold you back, so concentrate on being positive, let go of the past, and see all the good things in you that others see. Pluto in Capricorn ends its time in opposition with The Sun this week, making the best approach to whatever is going on in your life one of waiting and observing. If you react too quickly to things and take the moral high ground or are too emotional, you won’t solve anything. Instead, take a step back and see what happens first, you may not have all the information yet and you need to hold back until you do. 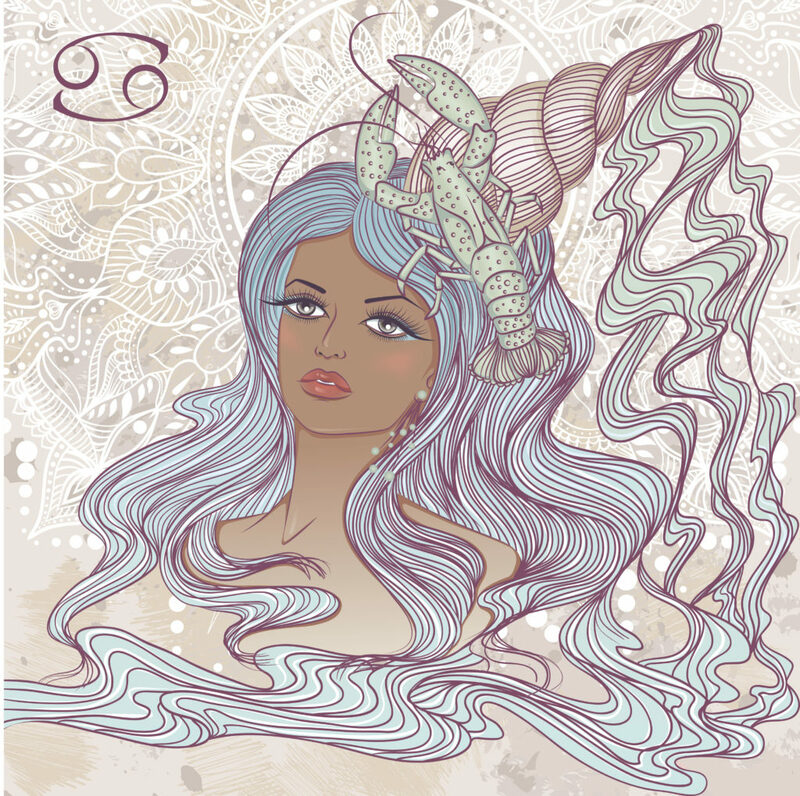 The Moon enters Aquarius this week, giving you blinkered vision to a certain degree that may be hard to widen and cope with . You can take steps to fight against this, but don’t go into any situation or any conversations believing you know everything right now. Because you don’t. The best way forward is to practise listening and to gather information before you do anything else. Communication will be difficult so proceed with caution and stay patient. You’ll succeed in finding the perfect balance between work and rest this week. This is never easy, but you’ll weigh these things well right now and you won’t find it taxes you too much. You’ll be able to work hard and still save time for you, bringing you harmony and peace. This is a motivating situation as your down time will be all the better for being productive first, and you’ll feel more motivated to work after spending time relaxing. 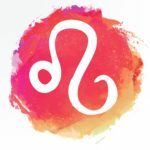 You need to listen to your body this week, Aries, it’s trying to tell you where there is a weakness, and most probably that you need to slow down in one area or another. This can come in the form of aches and pains, a cold, or mental or emotional issues. Whatever it is, if you don’t deal with this head on right now it’s only going to get worse and will cause you bigger problems in the future. One area of your life will take an unexpected change in direction this week, but don’t be alarmed or scared by this. Whatever area of your life this refers to, a change can be daunting and also exhilarating if you choose to see it that way. Keep your motivation high and embrace this new direction. Stepping out of your comfort zone and doing things differently could be just what you need, and really, what do you have to lose? You should pay attention to the relationships in your life this week and realise that they don’t always just work by themselves, you have to put the effort in. This could be family, friends, or your partner, but one thing is always the same, you have to work at keeping things on the up and up. Think about what you can do today to bring more harmony and happiness to your personal relationships and then set about putting it in place. 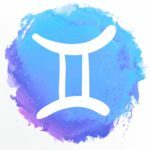 The Sun in Cancer ends its time in opposition with Pluto this week, bringing the people around you into sharp focus and making you feel somewhat disillusioned with others. The problem is, you’ll feel that the intellect and emotional maturity you’re looking for isn’t there, but this could be down to your perspective mostly. Don’t dismiss what you see as shallowness in others. Look harder and you’ll find that others have what you’re searching for, you just have to uncover it. This week your energy continues to push you to be fairly solitary, and that’s exactly what you need right now. You will have to spend some time with others, but keep this to a minimum and avoid any social situations. It’s a bad time to collaborate at work and any joint tasks should be left till another time if possible. It’s not that you’re being rude, just that you don’t have the skills needed to function well in groups right now. You’re likely to feel very grounded this week and more connected to where you are in life than usual. This feeling can relate to any, or all, areas of your life and you’ll have a great sense of belonging in the here and now. Ironically, this is the perfect position from which to move forward with your life. Being happy and content where you are gives you the right mental energy to progress and move on, so go with it. You’ll make a connection with someone this week that on the face of it seems like a perfect pairing for you. However, this person is still unknown to you and you’ll need to discover more to really know if this connection can work. Most importantly you need to know if you share the same morals. If you don’t this relationship can’t progress, so reach deeper and try to find common ground. If it isn’t there, don’t take it any further. In a tricky situation this week your first reaction will be to try and talk your way out of it, but avoiding the key issues of this will only stall things and won’t paint you in a good light. The truth is, this won’t go away just because you try and make it, so be honest from the start and use clear communication to set matters straight as far as you are concerned. This will put you in pole position. Some reoccurring issues or problems with family will persist this week and this time you should make more effort to sort them out once and for all. Find your place in all of this and centre yourself, whether this directly concerns you or not. You’re going to receive strong energy to deal with this, so prepare to be the one who lays all of this to rest and deals with it. Rise to the challenge and you’ll succeed without any issues. Pluto in Capricorn ends its time in opposition with Mars this week, bringing you strong energy to deal with a busy time at work. You’ll feel enthusiasm for the tasks in front of you and you’ll experience great momentum for getting things done. Use this to really push ahead and get down your work load. You may have to adjust your personal plans, but you can be sociable when this work is done and it’s worth it to get ahead. In the first part of the week this week you’ll feel quite comfortable with situations and what you have to do. Later on, however, things will change and you’re likely to feel like a fish out of water and you could flounder if you’re not careful. Whatever is going on, try to swim with the tide and don’t panic about your feelings of displacement. This river will run to some interesting places and you’ll be glad you stayed on the course. Some news or information you’ve been waiting for will arrive this week and this will give you the chance to weigh things up and decide what you want to do next. Whatever this refers to, you’re still waiting for a green light before you can take any action, so use the time in between to consider every angle and envisage the outcome for you and for those around you. You’re not ready to say ‘go’ yet, but this is a step forward. While it’s true that there’s no getting away from your responsibilities and commitments, it’s important to balance this with doing the things you love doing and keeping your own soul and spirit satisfied. Don’t sacrifice your own wants and needs for other people’s expectations, but find a balance between the two. Make sure you are doing the things that make you happy, as well as the things you have to do. Make time for yourself and you’ll be better at everything else. 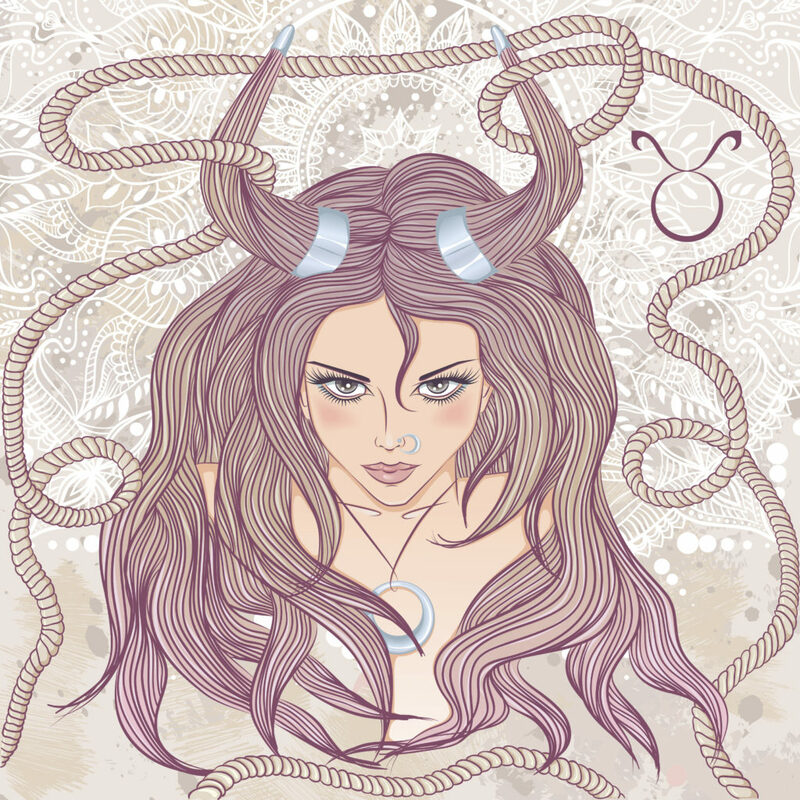 You’re going to have to watch your temper this week, Taurus, as you’ll have a short fuse that will be easily lit. This will be a particular problem in your relationship where you and your partner could descend into arguments quickly, if you don’t make an effort to stop tension in its tracks before it goes too far. Think about the fall-out from any rows you allow to happen and shut it down before it starts. Sometimes keeping the peace is more important. Things may have been difficult on the money front lately and you need to get creative with what to do about this. You’ve probably already come up with a few money making ideas and one of them in particular seems like it will work, but rush into anything. Do your research and be certain that this is going to bring you in the extra cash you need, then when you are sure, commit to this with everything you have. 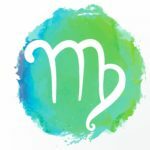 Mars in Cancer ends its time in opposition with Pluto this week, leaving you with vibrant imagination that you can use in various ways in your life. You may at times feel like your mind is wandering into some strange places, but don’t be afraid and allow yourself to do this as it can lead to the most interesting ideas. This is also a great way to solve problems with your subconscious and to deal with issues you’ve been struggling with. The beginning of your week could be tricky this week and there may be a difficult situation to deal with, especially in your work life. You’ll be great at working with others to find a solution and later on in the week you’ll successfully bring people together to find a way forward as a team. Your down to earth approach will work wonders with those around you and others will notice how well you deal with this, leading to interesting developments for you. Socially it’s a good week for you this week and you’ll be great in groups of people, entertaining, or playing host, or just enjoying the company of others. This can be brought into all areas of your life and it will be successful, but it will also mean demands will be put on you and you’ll feel obliged to do more than you’d realised you might. Don’t be afraid of saying no if it’s too much, but go with it as far as you feel comfortable. You’ll have to make a difficult decision this week that you may have been wrestling with for a while. You can’t keep putting this off, so make sure you have all the information you need and you know the issue inside out. Try to think ahead and envisage the outcome based on your decision, using your foresight and imagination. Make sure this works how you want it to, but also consider how it affects other people and be thoughtful. 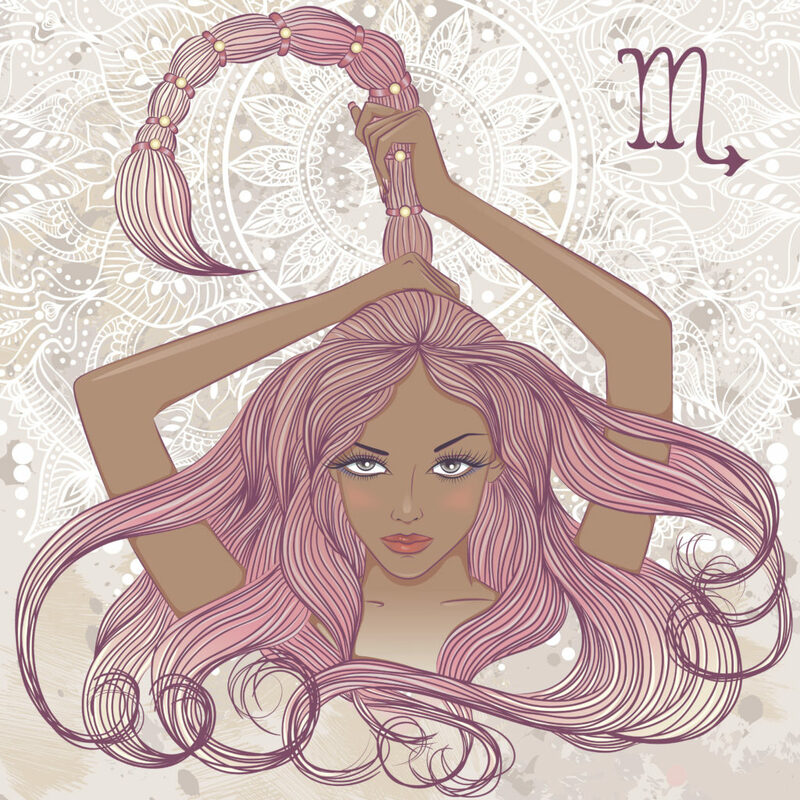 The Moon enters Scorpio this week, marking a line in the sand for you. You’re encouraged to look forward and make sure you aren’t repeating past mistakes or falling into old traps that you know lead to no good. You may have formed some habits that you need to break if you want to change your life and now is the time to do this. This will be especially beneficial for your relationship, but will also work in all areas of your life. You’re likely to feel quite introverted this week as your energy causes more of an inward looking focus for you. You’ll find it hard to be sociable and to deal with others, so make your home life the place where your attention goes. This will help you to feel soothed and supported. Watch for others who are as sensitive as you this week, as this will only bring you down more and cause you to retreat into your shell. Energy in your house is split pretty evenly between your relationship and your communication skills this week, making it a great time to say anything you need to say and to let your partner know how you feel. There’s also a surge in your social life right now, making it a good time for anyone who’s looking to meet someone new, as you’ll be able to draw others to you. Either way, put yourself out there and open your heart. 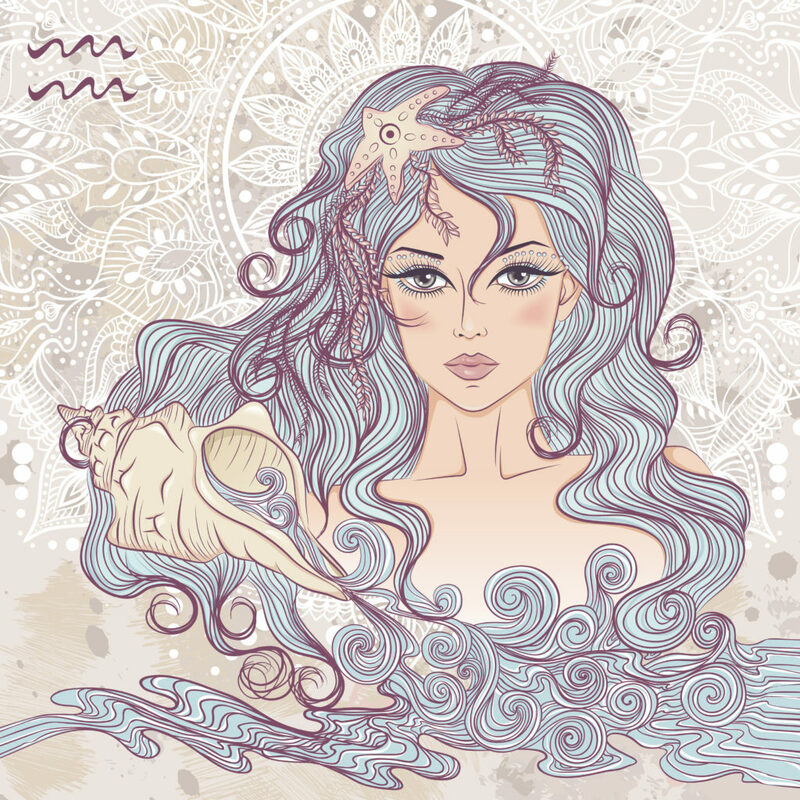 The Moon enters Aquarius this week, giving you very strong confident energy. You’re enthusiastic for whatever’s in your path and you’re likely to feel like you can achieve anything and take on whatever is thrown at you. 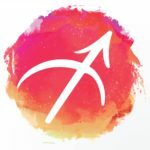 This dynamic energy will provide you with the right attitude for being successful this week and you should take this and really run with it. Do the things you often only think about and power through your work with gusto. You’re on fire right now! It’s the right time to let go of things in your past this week. You can do this in two ways, you can either heal your wounds in order to move on, or you can simply let old memories go. You have strong communication within yourself right now, so you can work on giving your feelings a voice and understanding them better. Alternatively, you can choose to leave past issues behind and walk away. There’s no shame in that and often it’s the right choice. Energy in your house this week makes any tensions and arguments much more likely to end in disaster, so try to avoid confrontation as much as you can in all areas of your life. If someone is disagreeing with you, don’t rise to the bait, but make a mental note of their position so you can come back to at a calmer time. If someone is really pushing you, you may need to take them aside and talk things out. There’s a high probability this week of doors opening for you that you thought were permanently closed. This second chance energy should be seized while it’s around, so take opportunities that come around and don’t waste the chances you have. Take some time out later to celebrate your good fortune, and make sure you’re with those close to you who have always supported you. You needed them when things were tough, so show them how much you appreciate it now. 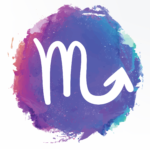 Mercury in Gemini is in trine with Jupiter this week, bringing you a busy time and putting you in demand in many areas and with many people. You like being busy, but don’t stretch yourself too thin this week or you’ll struggle to cope. You need to focus on what you’re doing, one thing at a time, with care and attention. If you have too many balls in the air at once, you’ll lose concentration and you could drop them all. Mars is in a strong position in your house this week and the red planet will have especial influence in your relationships and love life. You can use this energy to really find deeper meaning and a greater bond between you and your special someone and ignite your passion. 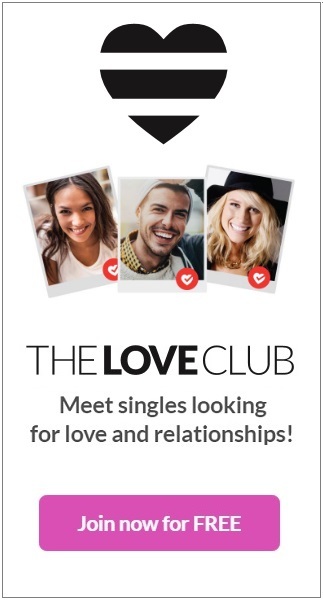 Or if you’re looking for love, you can use the energy from Mars to draw others to you, just turn on your natural charm. Make connections and push forward with your personal connections. The key to a successful week this week is to prepare well and put yourself in a prime position of being organised ahead of starting your tasks and projects. You’ve been working hard lately, but don’t fall into the trap of being lazy and thinking you know everything without preparing properly. Stay focussed on what you’re doing and later in the week you can let go and relax, safe in the knowledge you crossed your ts and dotted your is. You’ll start off the week this week thinking everything is quiet and stable and your path and plan for the week is settled. But someone will come to you with something very unexpected and unusual that will intrigue you. Whatever this is, don’t dismiss it or ignore it. Look at ways you can fit this into your plans this week, as this is something that doesn’t come along often and you don’t want to miss out on exploring this situation. 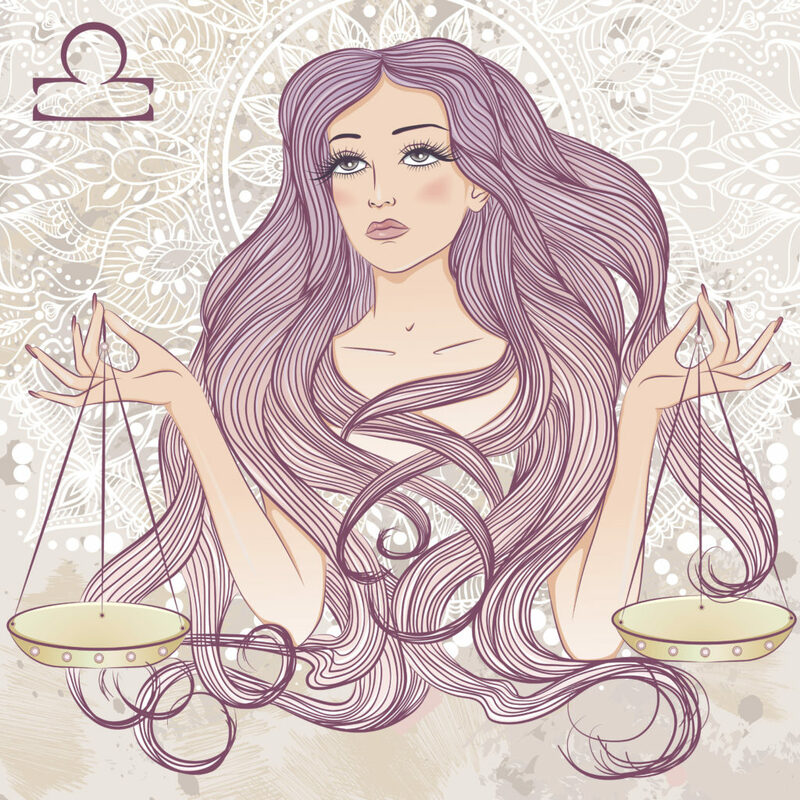 Jupiter in Libra is in trine with Mercury this week, bringing one single issue into focus for you and demanding you give your full attention to it. This could pull you away from other projects and areas of your life, but it will only be for a short period and it’s worth concentrating on something so important. Avoid negative attitudes and atmospheres while you deal with this. You can return to other parts of your life when you’ve dealt with this. You need to be careful with where you choose to fix your attention this week, as some areas of your life and some projects can zap your energy without offering any chance of bearing fruit. You may feel enthusiastic about these things to begin with, but the effort required will soon exhaust you and you’ll get nowhere. Concentrate instead on avenues that have something definite at their end. Take help and advice when it’s on offer and find the path that leads somewhere. Take a moment to step back this week and look at where you are in regards to a situation that’s taking your time and energy and that you may be forced to defend. Do you really understand this situation as well as you should? Do you have all the information you need? Make sure you’ve done all your research and that you can back up your position with hard facts. If you can’t do that it’s time to do some homework.